Lot Size: 11250 sq. ft. 75ft x 150ft "Rectangular"
Welcome to 707 Sumner Street! This property is available for immediate possession and is ready and waiting for your family to enjoy! With just over 1400 sq ft, there are many features to take note of: Inviting front entrance with adjacent living room area finished with hardwood floors; Spacious kitchen with plenty of cupboard and lower cabinet space with centre island, open dining area with garden doors opening to a rear deck and back yard; 3 bedrooms on main with 1-4 pc bath and master ensuite 3 pc bath with walk-in closet; main floor laundry with door to the attached 2 car garage. Beautiful hardwood floors enhance the floor plan of this family home. Basement is fully finished with large storage room, spacious bedroom with walk in closet, full 4 pc bathroom with loads of extra storage space and last but not least, a completely finished rec room for your families enjoyment. This property has it all - built in 1990, it has a solid structure, 2 car attached garage with paving stone block driveway, central vac, water softener (rented); sump pump, 1-100 amp electrical panel & 1-200 amp panel; back alley access with back area parking, fire pit, storage shed, rear deck, mature trees & landscaping.Location is a convenient 3 blocks from the elementary school & 4 blocks to the High School. 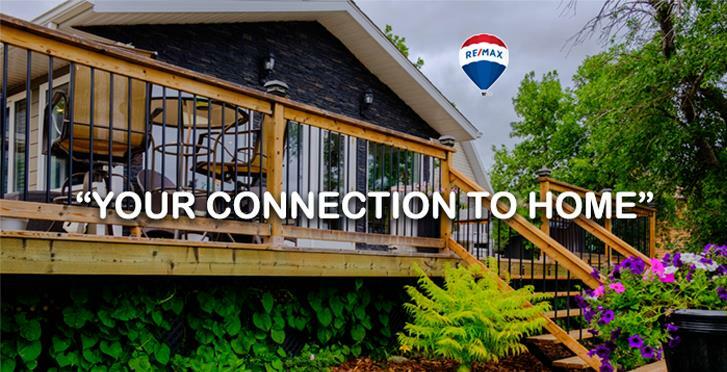 This may be exactly what you have been waiting for - call your listing agent today and make "Your Connection to Home" .